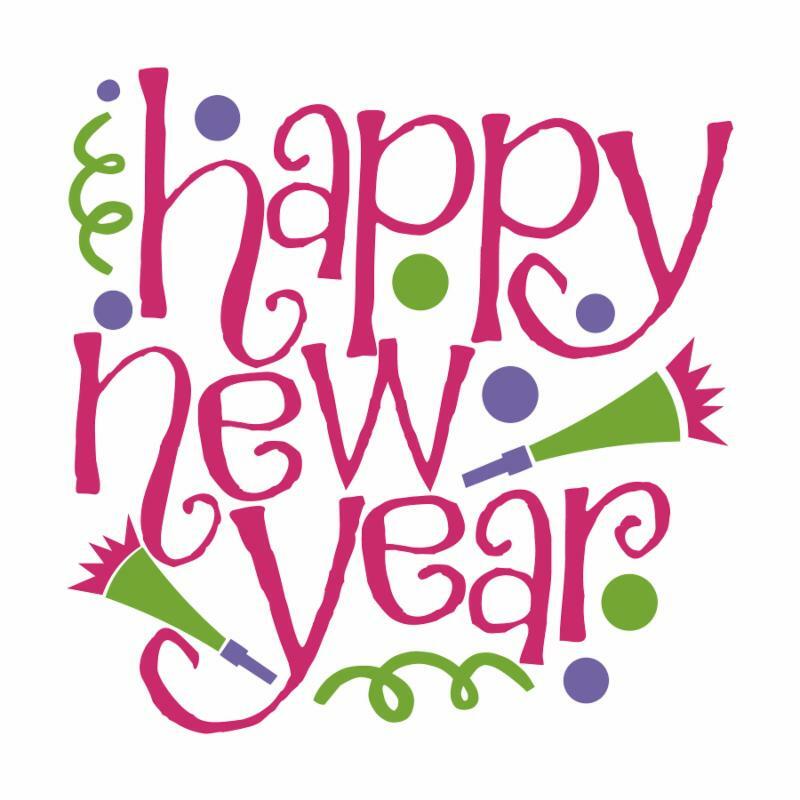 New Year updates + Save the Date! While I'm not one for new year's resolutions or making major changes as the new year comes, it is an opportunity for reflection. 2019 marks six years of owning Two Big Blondes! It continues to give me joy to be a part of this community and I love seeing old friends and welcome new ones. I thank all of you for your support! "...this time of year, it’s important to pay close attention to the diet language that lurks online, on billboards, on food packaging, and in the media. Often, it can sound innocuous, harmless, or even positive. But in fact, many of these phrases reinforce the idea that food has a moral character, and that you, by extension, are worth more or less based on what you eat and weigh. There’s good news: You’re not ." As we learn, or continue, to love ourselves, another place I find a lot of inspiration is Fat Girls Dance which celebrates ALL of us, enjoying our bodies through music & movement. Join a dance party each Friday!! size 8 & up and all accessories - you can find it all at our Giant Storewide Sale! $10 bucks to fill a 13-gallon bag with clothing, shoes & accessories! We provide the bags. Located downstairs in our basement. Enter through parking lot stairs. Come early to find the best selection! Four bag maximum until 2:00 pm. Benefiting Seattle Women’s Assistance Fund. All wedding gowns will be sold at storewide sale prices (up to 95% off!) on Wednesday & Thursday February 6th & 7th before the storewide sale to provide more time & space to try on the gowns. Also great prices if you want a gown for a costumer or just for the fabric! As we turn to a new year we are implementing a couple new policies you should be aware of. Checking photo ID: The first is to comply with the City of Seattle law we now need to review photo ID on all consignment accounts. We'll record your ID in our database so you only need to show it once. This is a good opportunity to review our account records as well, so if you're an existing consignor we'll be reviewing & updating your information and adding ID info on your next visit. After that you can just let us know that you've already updated your account. Also as the new year starts, it's a good time to update your newsletter preferences ! Click on the "Update Profile" link at the bottom of this email to make sure your email is correct and update subscription preferences. Item Fee Increase: Also starting in 2019 we are increasing our item fee from $2 per item to $3* per item. This is the fee that is added to each piece that goes out for sale. This will not impact the sale price we give to your consignment items or your consignor's split. I do not take this type of change lightly, but as anyone who lives in the Seattle area can understand, the cost of living and doing business has increased dramatically in the last few years. Over the last four years (2015 - 2018), store prices have increased an average of 12% total (not per year), while costs for personnel have risen over 50% (I support the increased minimum wage, but it does cost money!) plus an over 25% increase in rent, taxes and other combined costs of doing business. I'm always trying to find the sweet spot between selling items at a price that gives consignors a decent return while offering affordable prices to all customers. We continue to have four blow-out sales a year to provide customers amazing deals at great prices and donate clothing to our neighbors in need. One big misconception many shoppers have is that our prices should compare to thrift stores. We are paying consignors and the business costs while trying to provide a decent wage to employees. As consignors and customers you can help us change that perception by explaining how the process works to your friends who are new to the store! We're proud of providing affordable and environmentally sustainable alternatives to buying new clothing and thank you for your help with that mission! Let me know if you have any questions about these changes! *Items priced at less than $15 have a graduated fee from $0-$2. In addition we're accepting year-round clothing pieces including jeans, short- and long-sleeve blouses, mid-weight sweaters, jeans jackets, closed toe shoes, one-piece swimsuits, special occasion wear, etc. After our storewide sale we'll turn to accepting lighter spring pieces. No capris until April and hold summer items until May. 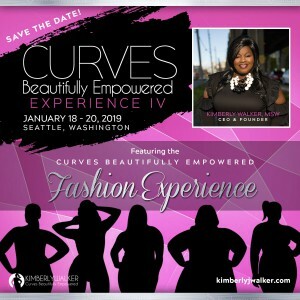 Two Big Blondes will be a part of the fashion show featured at the Curves Beautifully Empowered Experience IV , Join host Kimberly J. Walker on an amazing weekend of empowering your mind, body and soul with have meaningful conversations, dynamic panels, curvy mixxedfit fun and Curves Beautifully Empowered Fashion Experience! It's still cold outside! Come in for 25% off hats, scarves, gloves & headbands to keep warm through the rest of winter! Valid January 1-31, 2019 in-store only. NOT VALID during storewide sales. Paper or digital coupon required. Also valid with new sign-up for newsletter mailing list. 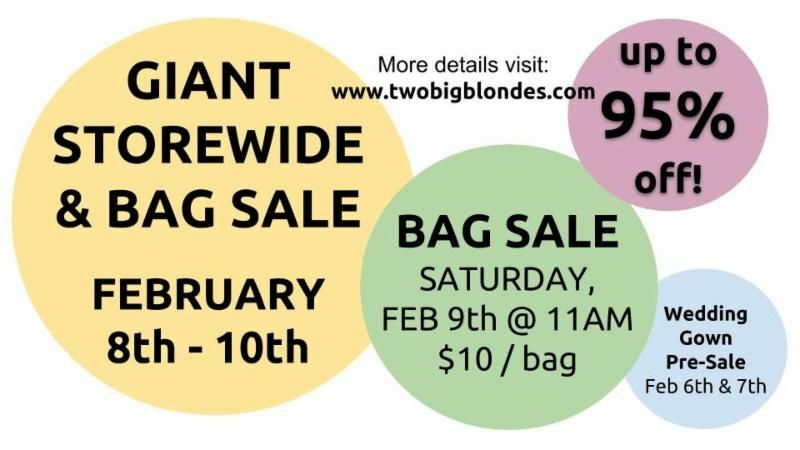 If you bring a friend who has not shopped at Two Big Blondes before and they spend $15.00 or more, you receive a $15.00 coupon on your next purchase. The more the merrier!